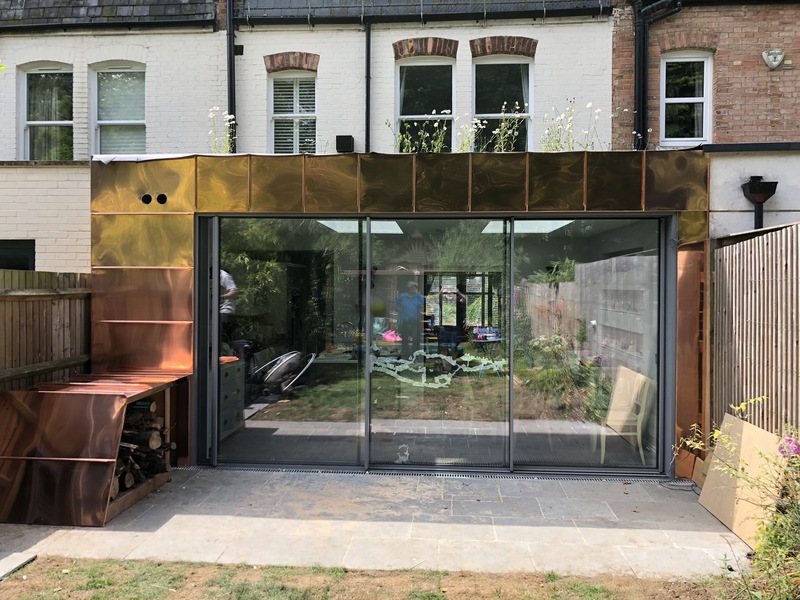 The sun came out just in time to show off the newly installed copper cladding on our Highgate project. The gloss finished standing seam cladding completes the rear elevation of the kitchen and dining room and forms a continuous ribbon over the log store. The installation by Prestige Metal Roofing completes the construction works to the house. Ordinarily copper cladding oxides to a dark brown before turning to the familiar verdigris colour. In this instance the metal has been treated with a lacquer finish which will preserve the bright salmon pink toned metal for years to come.